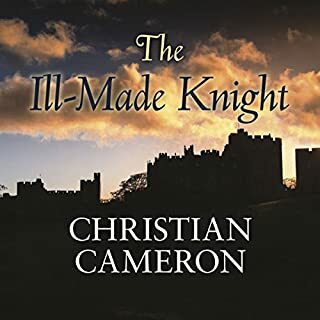 The thrilling first instalment in the Wars of the Roses series - set at the beginnings of this turbulent period of English history which saw the throne change hands six times in 30 years. 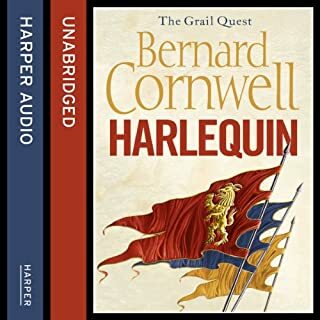 The Swan sees Henry VI crowned King of England and married to the young French noblewoman, Margaret of Anjou - and so begins the extraordinary story of how England became a divided nation, where brother took up arms against brother. This was the war which defined the England we know today. 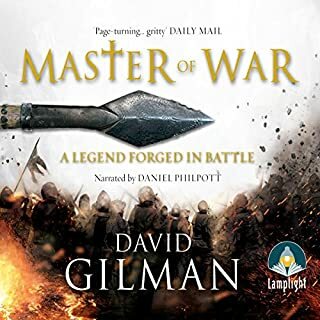 The Wars of the Roses series will be a landmark piece of historical fiction writing, with all the intrigue, drama, and action one expects from one of the biggest names in the genre. 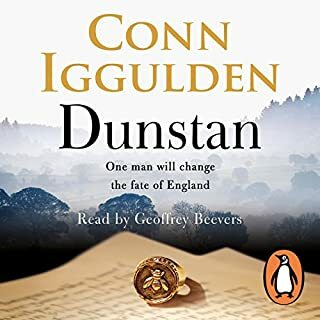 This is Conn Iggulden at his finest. A well executed set up. Great writing, exceptional narration (one of the best, if not * the*best, I have come across) and beautifully developed characters. Wonderful read and would read again. I have not read one of his books before but this book intrigued me from beginning to end. I look forward to reading the next book of the series. This book has enough historical information mixed with fiction that it gives an almost true account of that time. If this period interests you, then you will enjoy this book. I really enjoyed this book. It was very well read, the narrator uses various voice and intonations to bring through book to life. I thought it was very well done. Having loved some but not all of the author's series I gave Stormbird a go without reading any reviews or any synopsis of the book. I was definitely not disappointed with the story or the narrator, I can't wait for the next in the series! 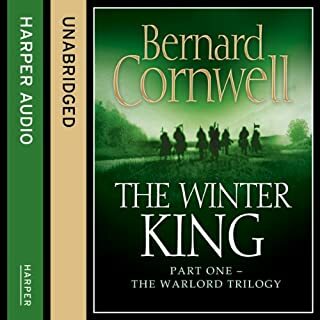 I have read his other series and therefore had to listen also to this one. 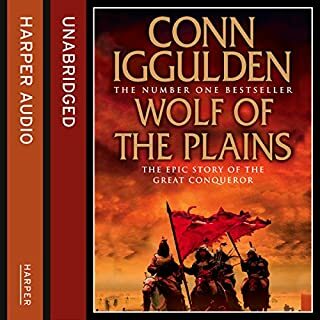 It is not as good as the Genghis books, but for me this is a very high standard. I had difficulty deciding if I should give 4 or 5 stars, I would say four and a half. Its a complicated subject with many Edwards and Richards and battles back and forth. the series gets better book by book. I hope Conn makes another series. 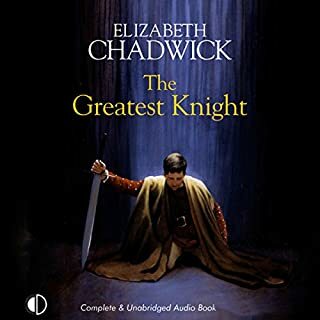 Blew through this audio book in no time. 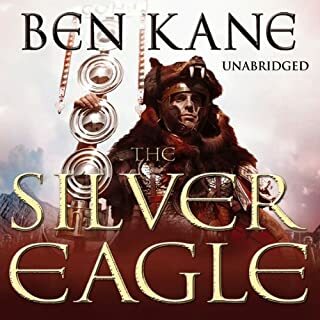 If you like medieval battles and political intrigue, i would recommend it. Fresh and vivid historical fiction. I really liked this. I read a couple of Philippa Gregory's and while I enjoyed her portrayal of the women involved, and think she writes well, it remained 'women's' fiction,' which is fine. But I found this stronger on the broader picture of the war and the affairs of important men. 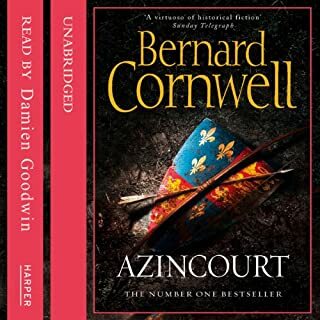 I grew into the characters and particularly enjoyed the portrayal of Margeret of Anjou's progress from naive 14 year old bride to the woman she becomes. Excellent. When I gave up on Robyn Young's Robert Bruce thing I thought it was, perhaps, the multiple viewpoints and a slightly tired format. 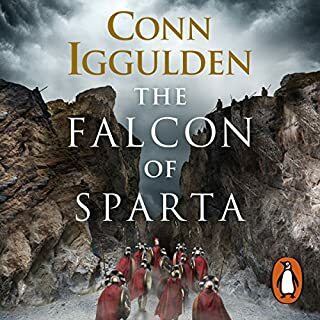 Sorry Robyn, but this shows it was the writing; Conn Iggulden's characters are strong and the storytelling is vivid. The battles are more exciting and the writing is generally fresher. I'm looking forward to the next instalment already. 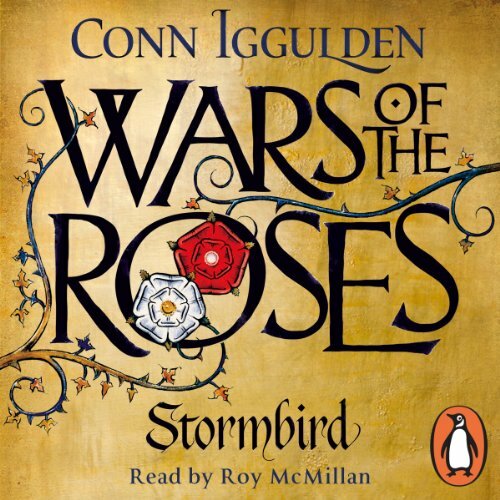 What made the experience of listening to Wars of the Roses: Stormbird the most enjoyable? 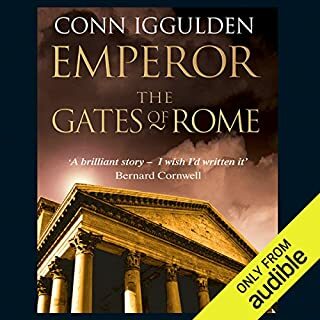 I think Conn Iggulden is a natural storyteller and it comes through in this book, a perfect pace, where the history and fiction are interwoven to give a great listen. The Characters are great and you can feel the action, either as an archer facing a charge or a Queen getting married. If history was taught like these books are written we would have a nation of historians. 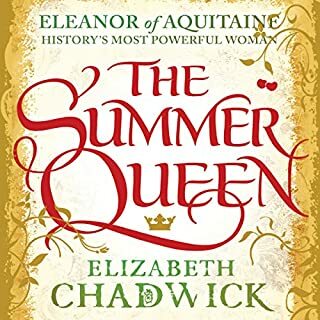 Historical fiction is not everyones cup of tea, but if we still lived in times where stories were passed down in an aural tradition this would be how we learnt history and the powerful characters like Margaret of Anjou, and Jack Cade would be better known. 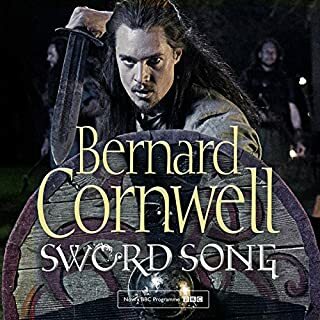 Derry Brewer was my favorite character mainly because he is who the story runs through, he is made up as is pointed out but there must have been someone who existed and did similar things, but Margaret of Anjou makes me want to find out more about her real history. to me the reader is not as important as the book, It is true a bad or boring reader can ruin a story, but Roy McMillan does a great job keeping the story moving, better than Richard E Grant, who has a voice that is to know which distracts. The Silent son of the lion king. 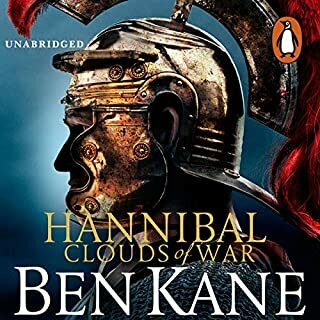 Finally a good voice for a good book. First and foremost, the narration is excellent. 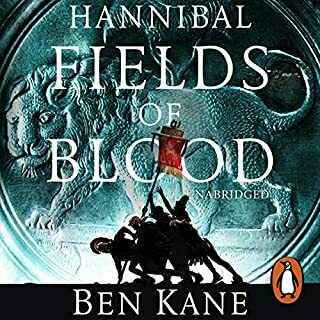 Excellent war scenes, and believable characters - not two dimensional, and display progression through out, giving life to those of historic fact, and at times fiction. I am picky and fickle over narrators, as many times a good narrator can make the most dull novels great; and a bad narrator can make the most riveting novels a little less than dull. This narrator is great with this book! The storyline its self is excellent and I can not really think of a critique. Adding more to the plot line to show more segmental character development or colouring, may have taken away from the pace of events too much in this already large book. Certain historic alterations occur and events are moved closer together (but still remaining in chronological order pretty much) to keep the storyline going. The author addresses this though after the book finishes, explaining why this has been done (3 years of nothing, isn't good reading material), and also explains a character or two which he has deduced must have existed -or something to their effect - in order for such events to have proceeded. At the end of the day, this is historic fiction, not historic fact. If alterations niggle you, read a factual book over this time period instead. . . though this rendition of events are much more entertaining in my opinion. Preformed excellently. Wide range of accents for different characters, which stick for each individual character. 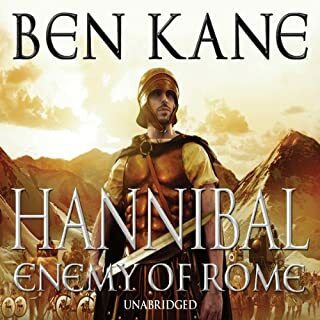 Clear and easy to listen to. . .I think I've jerked off the excellence of the narrator enough already. What did you like most about Wars of the Roses: Stormbird? He flowed with story made the characters seem real. Looking forward to the rest of the books. What other book might you compare Wars of the Roses: Stormbird to, and why? Yes the appearence in front of Rueben by a man he considered if not a freind at least a supporter who was now his judge and determined to make Rueben confess to his "crimes" despite knowing the accusations were false. 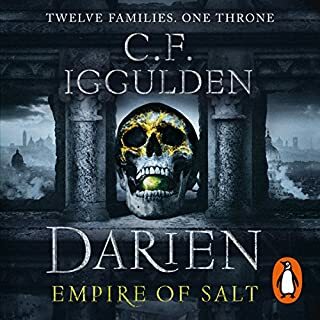 I know the history the story is based on reasonably well and I'm not sure if that meant that I enjoyed the book more or not - possibly more because I didn't need to work my brain on keeping up with characters and events, but could just relax and enjoy the storytelling aspect. Pleasantly surprised by this book. A great story based on historical fact. The fictional characters are well conceived and merge very believably with the historical. Really enjoyed this! 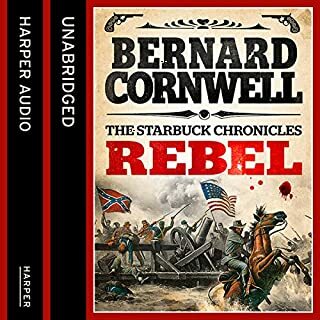 I found it very well written and engaging and the narration is excellent. I'm looking forward to the next one now.